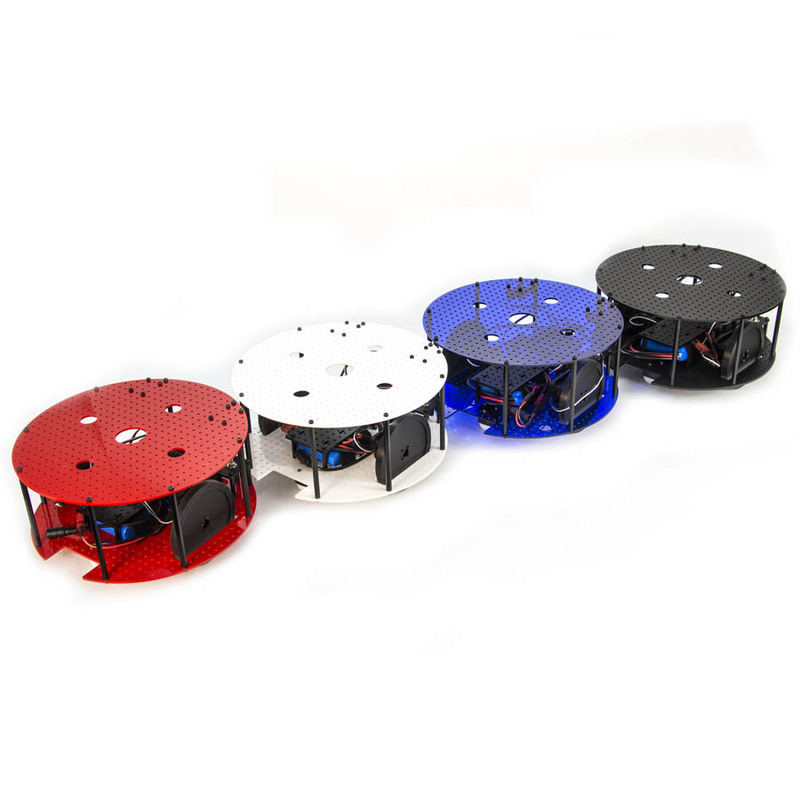 If you have a specific color (Red, White, Blue, or Black) of Geekbot you would like, leave a note in the comment section of your order, otherwise, we will pick one for you! 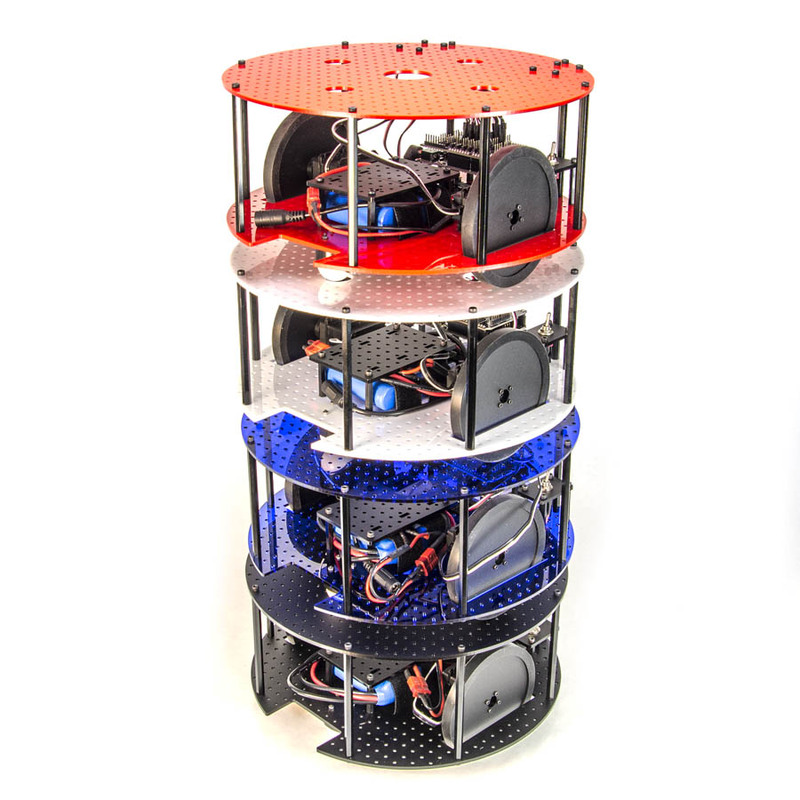 Introducing the RobotGeek Geekbot V2 Core Kit! It does not come with an arduino, and is intended for those who already have a microprocessor (such as a Geekduino) they wish to use. 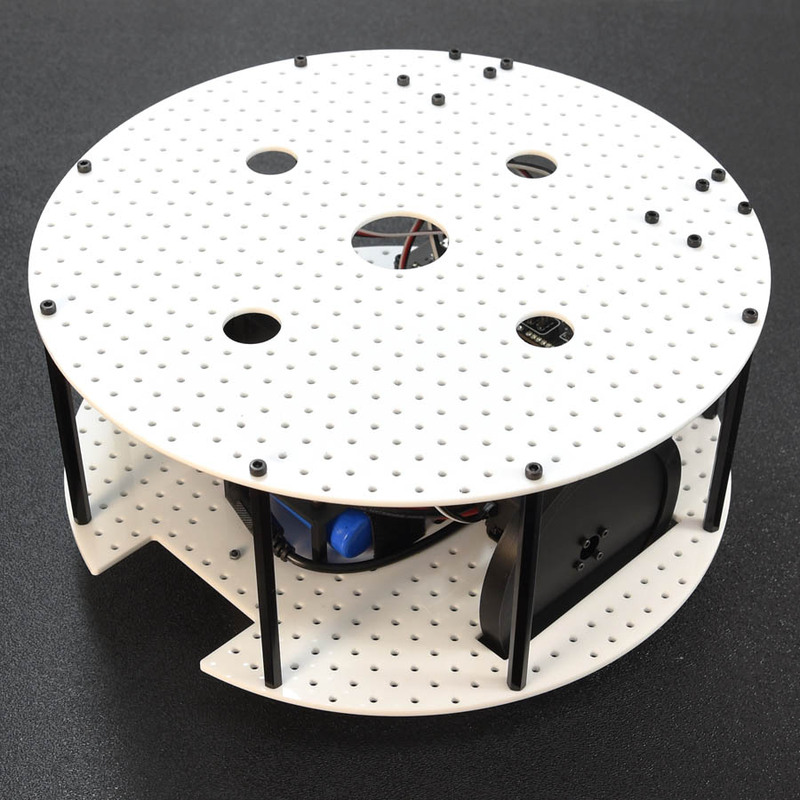 The Geekbot V2 Core Kit comes with the body, the battery, the wheel motors, and all the hardware you need to put it together and mount your arduino compatible microprocessor. 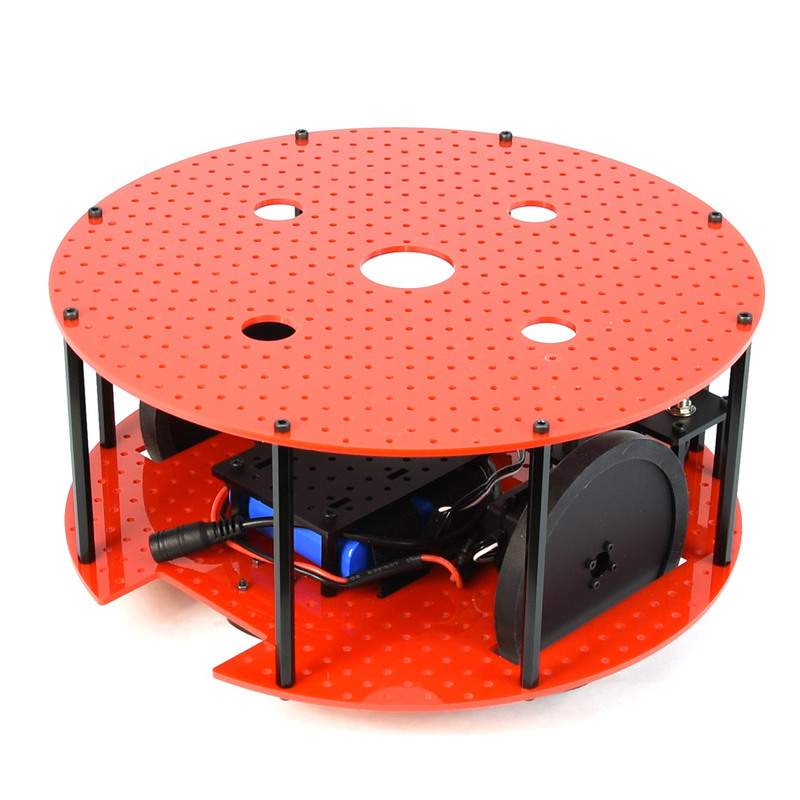 This makes an excellent project for those who have started their STEM learning with a RobotGeek Experimenter's Kit, and want to move from the understanding of sensors to a mobile robotic platform. 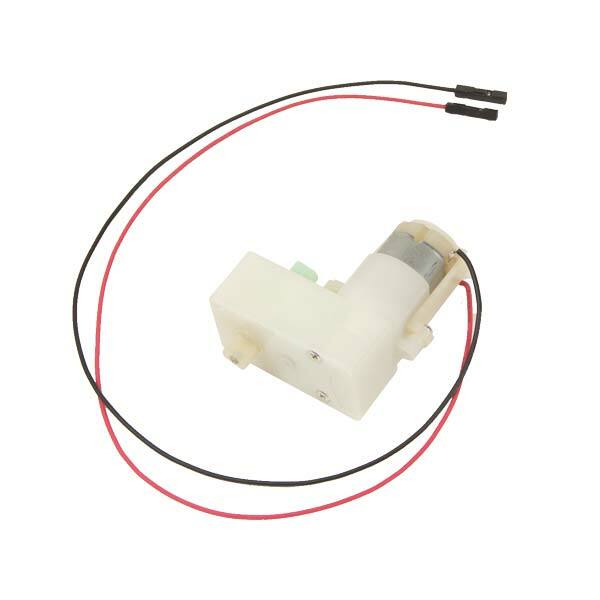 Don't have a Sensor Shield? Pick one up to avoid a mess of breadboards and wires, and we'll take $1 off your order! All RobotGeek sensors, kits, and add-ons conform to the 1 X 1cm grid on the GeekBot decks. 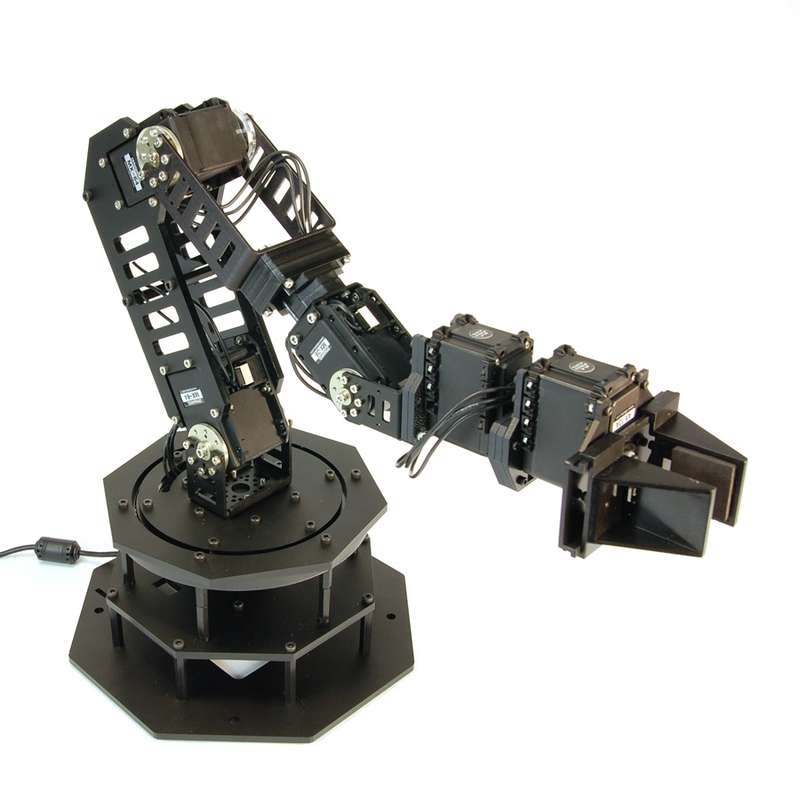 Add sensor arrays, turrets, grippers, arms, lasers, airsoft guns, advanced controllers and more to create your custom Geekbot. 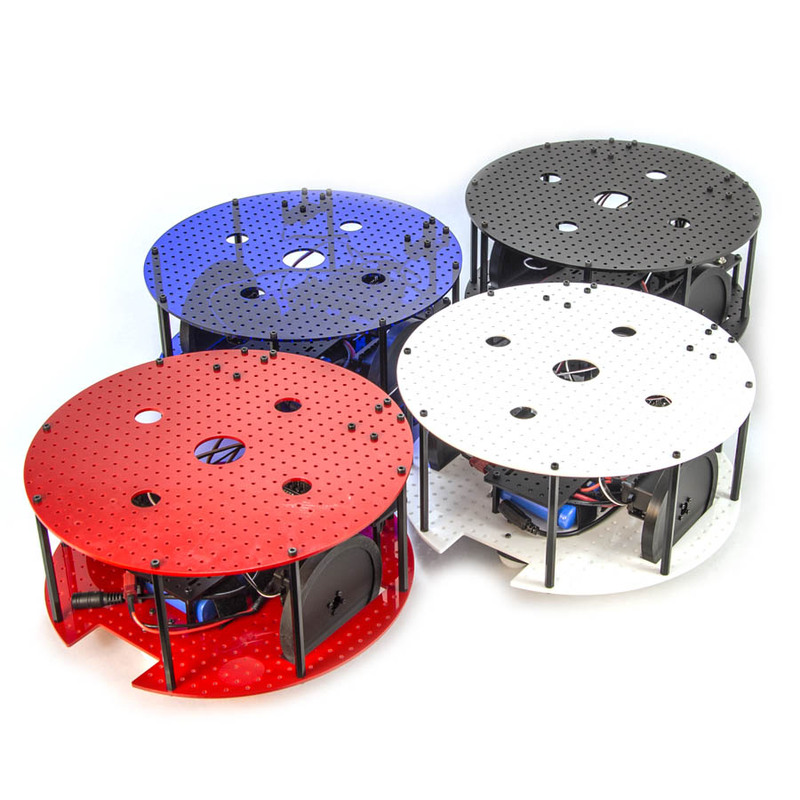 The Geekbot is specifically designed to be customized for each builder’s unique project goals. 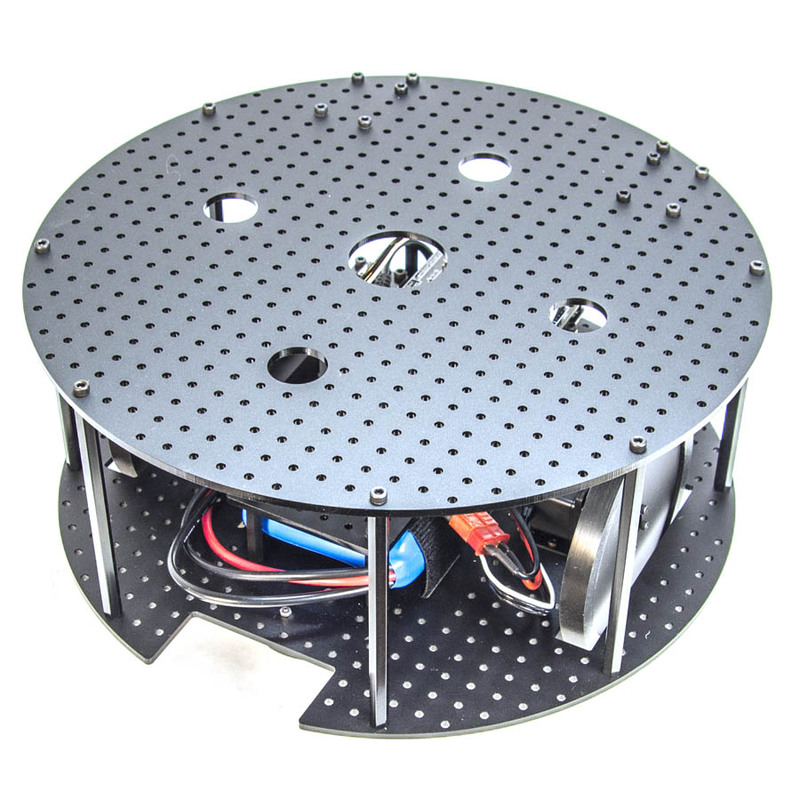 If you are looking for a full rover solution check out our Geekbot Basic Kit. 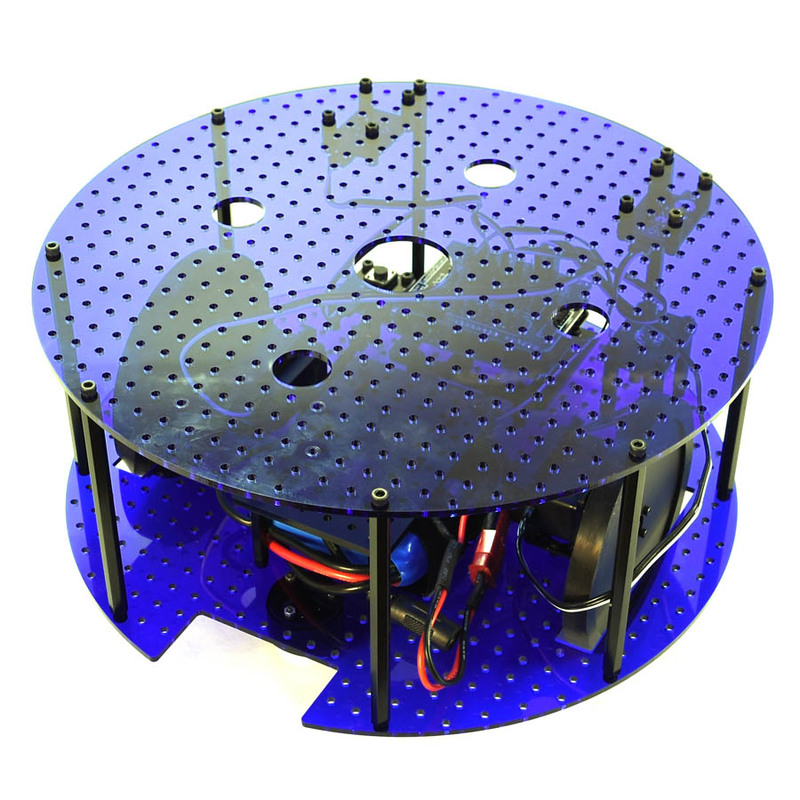 The Geekbot is meant as an educational rover and was designed for flat surfaces. 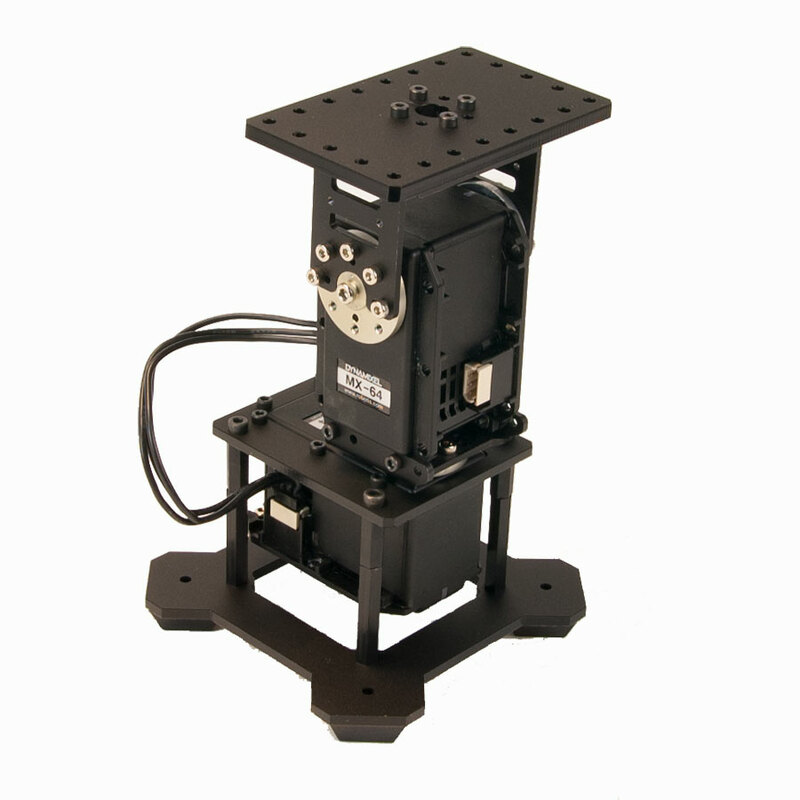 Uneven surfaces may cause the robot to behave erratically or get stuck.